The back to school period means a lot of shoe boxes at our place! 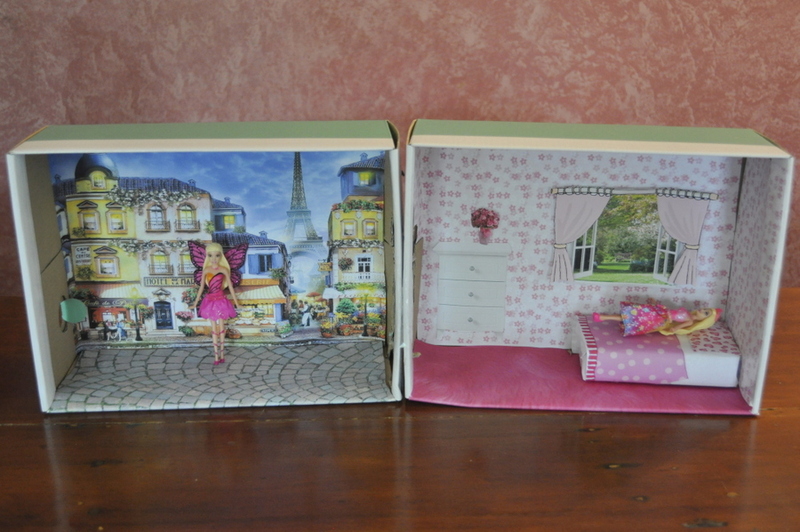 They are fabulous for all sorts of things and this time, my daughter and I created a Paris scene dollhouse. We decided to do two scenes joined together (outside and inside) but just one box on its own is fun too. 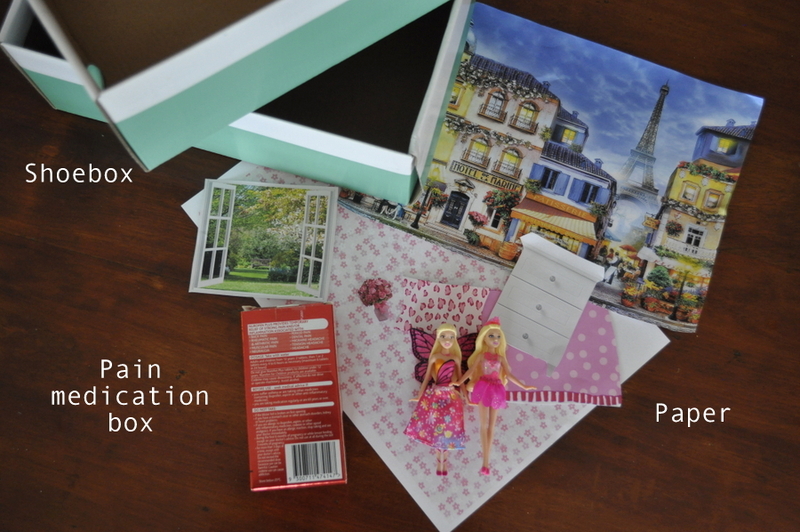 My daughter loves Paris, and so we wanted to set the scene there. 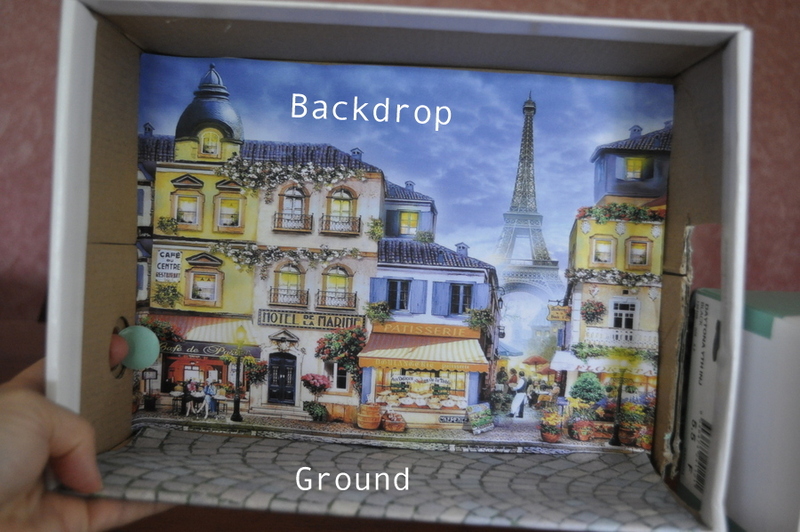 An A4 piece of paper is almost the right size for most shoeboxes (it just needs to be trimmed a little) so intent the picture you want to use for the background in a landscape Word document and print. 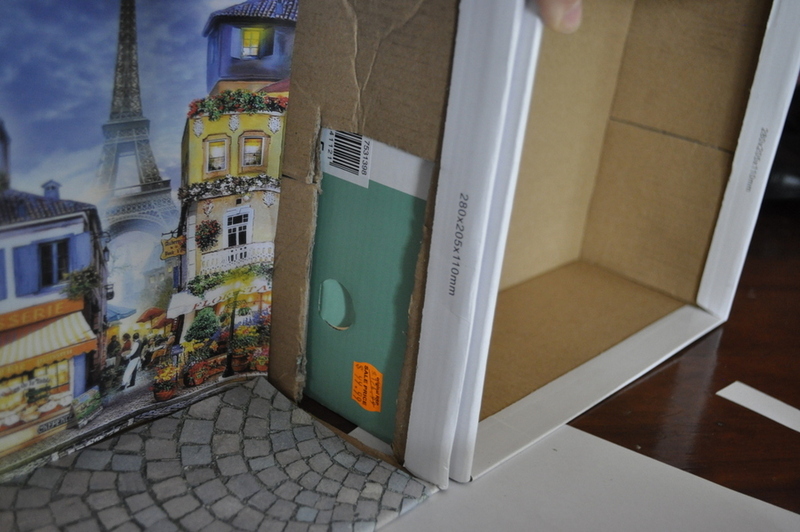 Trim the paper to size and glue into the back of the box. This leaves the base of the box looking a bit bare so search for an image you can use for the ground (grass, dirt, carpet, tiles etc). We used a paved street look. 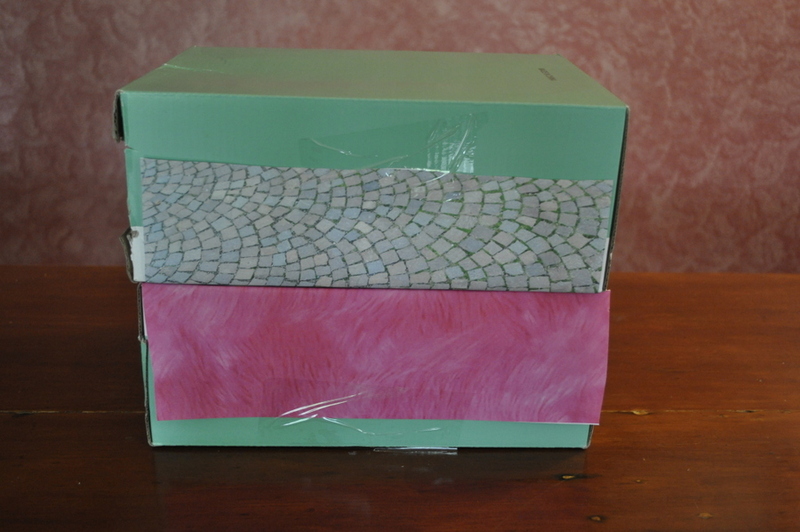 Glue the ground paper inside the box and fold the overlap over under the box and tape to secure. That’s it! You already have a gorgeous backdrop for play. Another idea is to do a series of these boxes and display them on a shelf in a bedroom (looks gorgeous!). We wanted to add an indoor scene to this project. 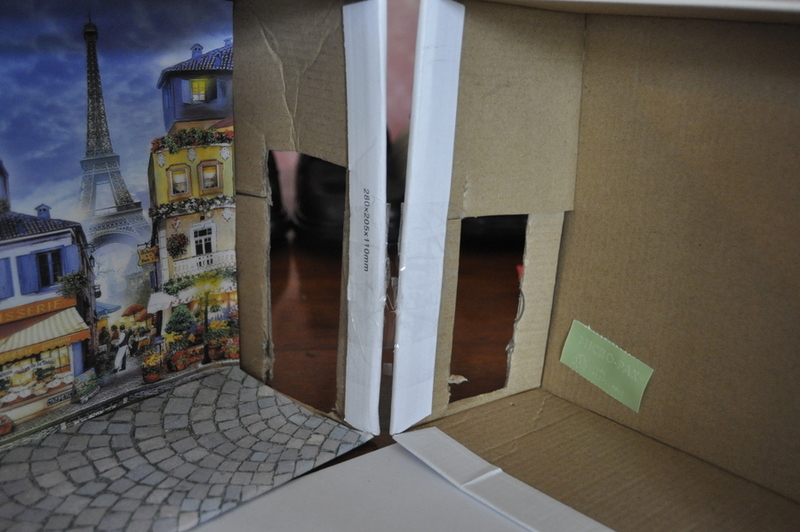 My daughter and I wanted to make a walk through from inside to outside, so simply cut a section out of the side of both adjoining boxes. 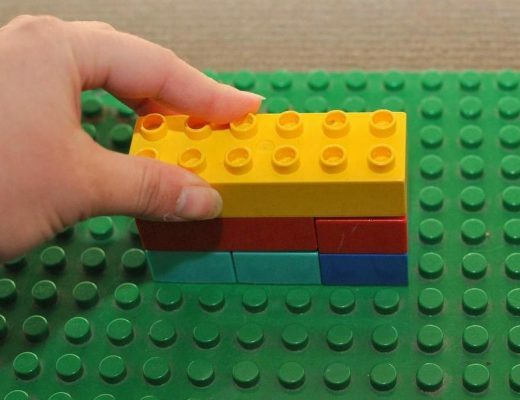 Then tape, allowing for a little gap, so it can be opened and closed easily. 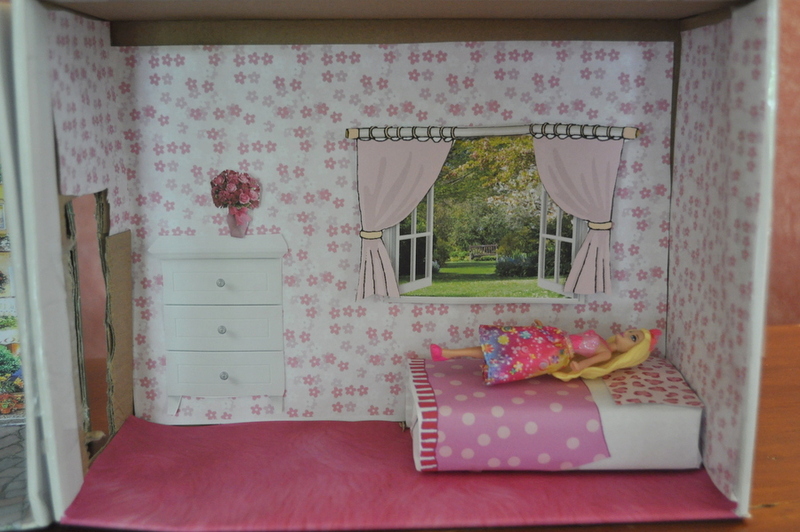 For the bedroom, we made a bed (instructions here) and then decorated the inside of the box with patterned paper (wallpaper). Wrapping paper works and so does scrap material, or what I did was insert a patterned image into a landscape Word document and print. Same goes for the carpet. Now for the decorating inside! We kept it pretty simple and added windows and drawers. Cut-outs form magazines and calendars or clip art/images work well. Glue the window and table in place and it’s done. 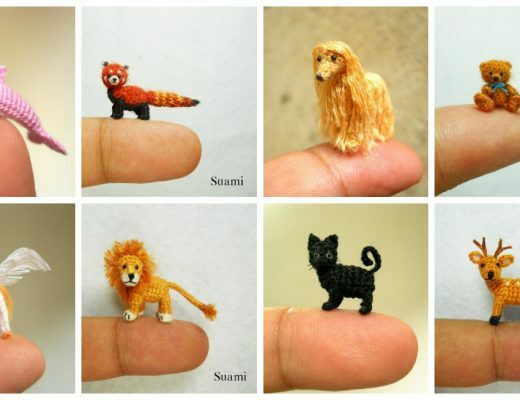 Small dolls work best (Lalaloopsy sized figurines). This is amazing. 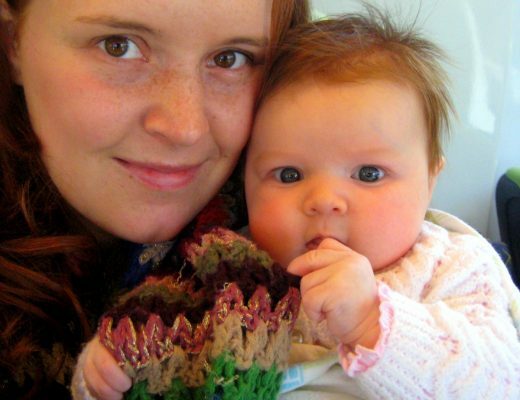 I am in love with your blog. 🙂 Thanks for sharing it! I pinned this a while back, and just made one for my girl to play with as a surprise on our family holiday. I found a little African doll, and so the backdrop is an African village. Thanks for the wonderful idea!